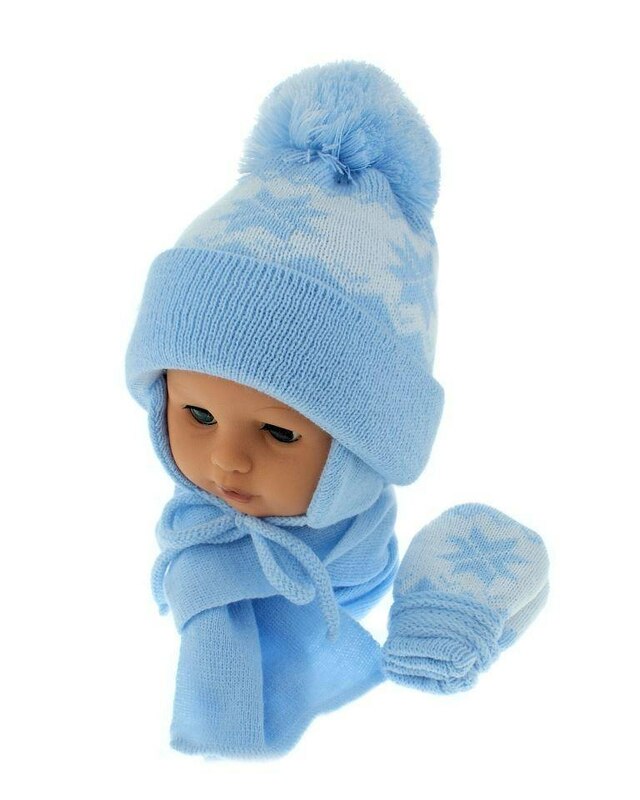 Babydoll baby Norwegian style consists of hats, szaliczka and gloves (gripper). Cap heat, double-layer. Has a cover on the ears, binding and a large Pompom. Scarf in the color of the hat. Gloves pot holder (no) 2-tier model such as the CAP, combined with a string.